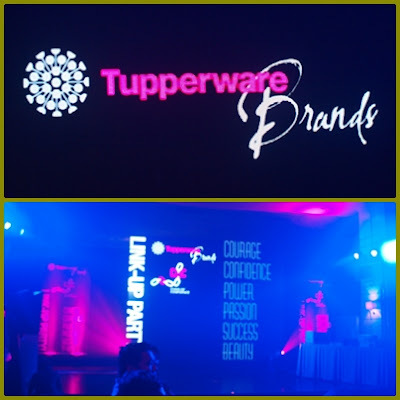 I attended the Tupperware Brands Chain of Confidence Link-Up Party held at Opus, Resorts World Manila and it was an event full of celebrities, well known personalities, media and new line products from Tupperware Brands. As Tupperware Brand maintains its leadership when it comes to direct selling, they still growing specially now that they have new celebrity endorsers. 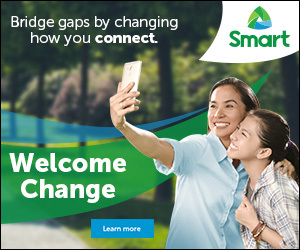 Headlining the new product introductions are some of the country’s hottest stars and celebrities as endorsers for the company’s world-class brands. Tupperware Brands Philippines reinforces its top position in the direct selling industry by strengthening its commitment to enlighten, educate and empower women and their families all over the Philippines through the introduction of the newest product lines under the home, beauty, fashion, child care, skin care and personal care categories. 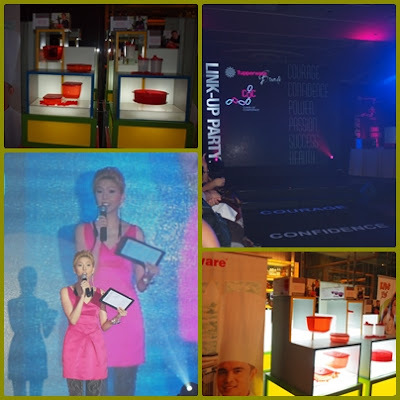 The event was hosted by Bianca Valerio and also for Colour Collection's Chief Makeup Artist and here are the new line of products that Tupperware in store for you and the celebrity endorsers they presenting. 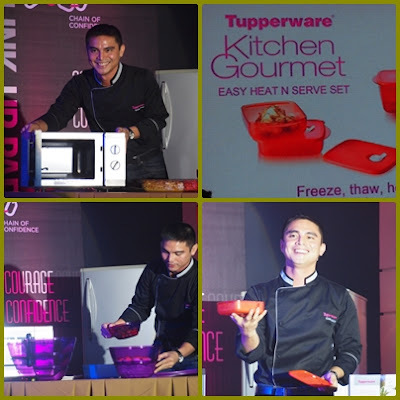 Marvin Agustin for the Kitchen Gourmet which comes in 3 selections the Easy Prep Set that makes meal preparations a breeze; Easy Heat N Serve Set, a versatile solution set for re-heating, serving and storing needs; and Easy Entertaining Set made for table service. 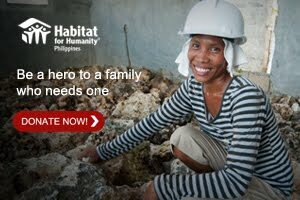 Marvin showed how well they are functioning and how can they kept easily. 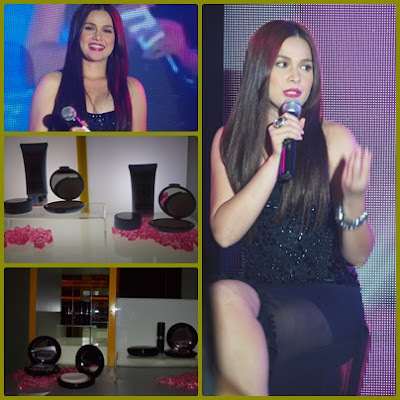 Bea Alonzo for Colour Collection that introduces their Mineral Cosmetics line includes Lipstick that offers long-lasting color; Blush-on in 2 shades to create different looks; Eyeshadow with 4 shades that can be mixed and matched; and Pressed Powder that gives long-lasting matte finish. And for my favorite is the new Gluta Whitening Blemish Balm (BB) Cream because it uses Nanotechnology that allows the skin to absorb its natural ingredients easily. It acts as a whitening cream with its glutathione and papaya extract, moisturizer with shea butter and soothing aloe vera, toner with witch hazel extracts, foundation with a yellow-based universally flattering shade, and sunblock with SPF27 protection. Love it!!! They also introduces their innovation for the Baby Care Plus the Kids Plus+, a collection of products which offers gentle care and protection for kids’ sensitive skin. Its has two collections the The Playtime and Bathtime collections that offers gentle protection and have unique plus benefits that cater to kids’ specific skin needs. Kids Plus+’ delightful packaging and fun fruity scent are sure to captivate kids. 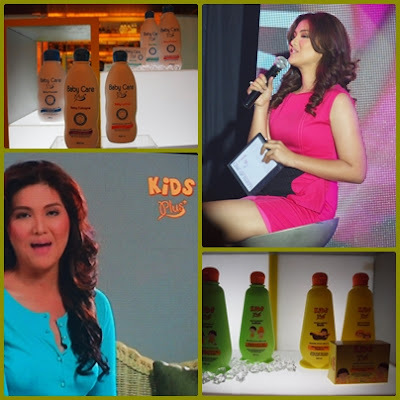 This products are being endorsed by an actress and loving mom, Dimples Romana. On the other hand Tupperware Brands also introduces an apparel and accessories brand that offers style with an environmental conscience, I.Closet. It caters to both men and women with a soft and comfortable fit and feel, perfect as everyday wear. From jeans, blouse, polo, shirts, belts, wallets and bags etc. rest assure that all have quality and durability that Tupperware brands proven offering for years. 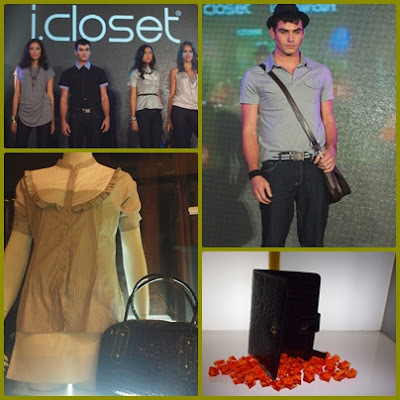 This new fashion line was introduces by top models together with Tom Rodriguez. 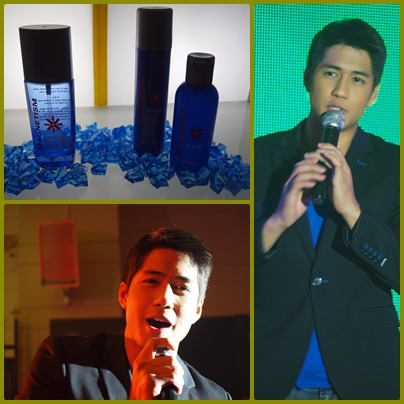 The new line of fragrances was also launched, as such, Magnetism by Aljur Abrenica a citrus aromatic fragrance line that includes Body Mist, Body Spray and Body Splash forms. And Toni Princess by Toni Gonzaga which also available in Body Mist, Body Spray and Pocket Mist forms. They both offered a song which added the entertainment and fun that night. With that new set of innovative products and endorsers brought to you by Tupperware Brands will continue to make your life more confident by starting a new relationship with Tupperware by joining being a dealer to this strong direct selling company. Log on to www.tupperwarebrands.ph, e-mail them at questions@Tupperware.ph or call hotline 867-2222 for more details, questions and inquiries.